For the past 10 years, UNC researcher Rachel Noble has been developing technology to keep our food safe from bacteria like E. coli. On a dry, warm afternoon in early August, it’s business as usual in the heart of the Santa Maria Valley. One of the most productive agricultural regions in California, this sun-drenched landscape is home to thousands of acres of produce — especially spinach, lettuce and other leafy greens. At the edge of a vast field of red leaf lettuce stands a scientist who has traveled here from across the country. “This is the kind of lettuce we test,” says UNC researcher Rachel Noble, as she leaned down to touch the delicate leafy bunch of auburn. While she’s more than 2,500 miles away from her lab at the UNC Institute of Marine Science in Morehead City, North Carolina, Noble is very familiar with this area of California. For the past 10 years, she has made regular trips to California to help develop and hone technology that tests fresh produce for bacteria like E. coli, Salmonella and Listeria. Testing food for bacteria and viruses is not new, but some of the methods are decades old. Most of the tests used today require 18 to 24 hours from sample to results. 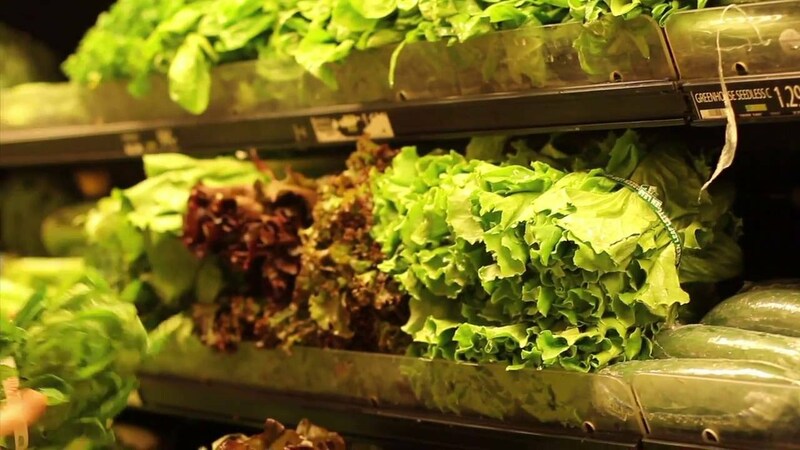 That means spinach harboring E. coli could be placed on a supermarket shelf — or tossed in a salad — before consumers are alerted and a recall is issued. Noble’s research over the past decade has led to a much faster way of doing things: from roughly a day to a few hours. Working with BioGX, an industry leader in the production of rapid molecular testing kits, Noble said their test kit is unique because it tests three important bacteria in one — E. coli, Listeria and Salmonella — all conducted in a single reaction, from a single sample. “That will have serious economic benefits if we can gain certification,” Noble says. Right now, she is trying to do exactly that with certification organizations, such as AOAC International (Association of Official Analytical Chemists International). “We already know that the test works well on difficult water and environmental samples. It’s a matter of putting it in someone else’s hands and allowing them to show that the test works — not the people who developed it,” Noble says. That’s what AOAC does. Their stamp of approval is an intermediate step to gaining support from federal agencies, such as the U.S. Food and Drug Administration (FDA). Rachel Noble is the Mary and Watts Hill Jr. Distinguished Professor at the Institute of Marine Sciences. She is also a professor in the Department of Marine Sciences within the UNC College of Arts & Sciences and director of the Institute for the Environment’s Morehead City field site.